Matthew Bush joined the faculty at Lehigh University upon receiving his Ph.D. in Latin American literature from the University of Colorado at Boulder. 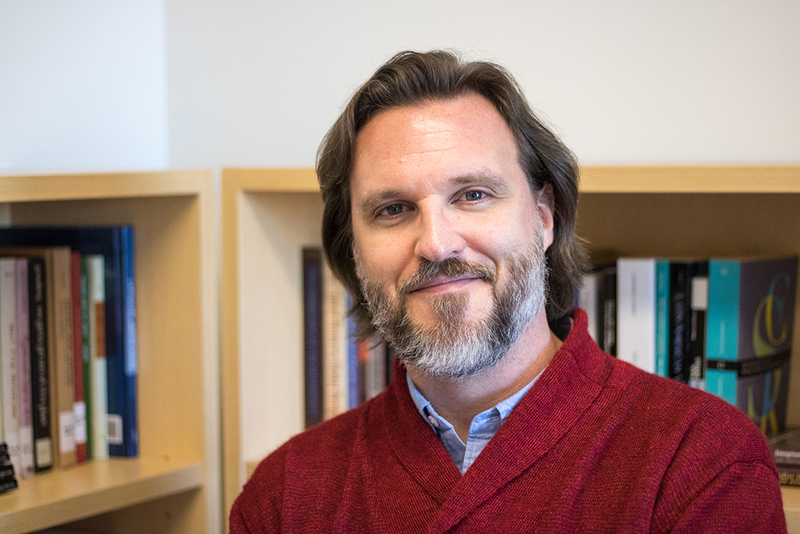 Professor Bush’s research and teaching examine contemporary Latin American narrative and culture, focusing primarily on Mexico, Peru, and Argentina. His book Pragmatic Passions: Melodrama and Latin American Social Narrative, explores melodramatically framed socio-political discourse in narratives from early to mid-20th century. He is also co-editor of Technology, Literature, and Digital Culture in Latin America: Mediatized Sensibilities in a Globalized Era, a volume that examines writing practices in Latin America and their dialogue with contemporary technologies, and of Un asombro renovado: Vanguardias contemporáneas en América Latina, which explores the resurgence of avant-garde aesthetics in contemporary contexts. His interests include critical theory, affect studies, melodrama, historical and neo-avant-garde artistic practices, the Latin American social novel, and media and globalization in contemporary Latin American art. Pragmatic Passions: Melodrama and Latin American Social Narrative. Madrid: Iberoamericana Vervuert, 2014. Un asombro renovado: Vanguardias contemporáneas en América Latina. Co-edited with Luis Hernán Castañeda. Madrid: Iberoamericana Vervuert, 2017. Technology, Literature, and Digital Culture in Latin America: Mediatized Sensibilities in a Globalized Era. Co-edited with Tania Gentic. New York: Routledge, 2016. “Reading the Affective Contours of the Río de la Plata: Aira, Levrero, Strafacce, and Umpi.” MLN 133.2 (2018): 411-34. “Procedimeintos de la nostalgia: Bolaño y Aira frente a la vanguardia.” Co-written with Luis Hernán Castañeda. Un asombro renovado: Vanguardias contemporáneas en América Latina. Matthew Bush and Luis Hernán Castañeda, Editors. Madrid: Iberoamericana Vervuert, 2017. 221-43. “Into the Screen: Inhabiting Media with Mario Levrero.” Technology, Literature, and Digital Culture in Latin America: Mediatized Sensibilities in a Globalized Era. Matthew Bush and Tania Gentic, Editors. New York: Routledge, 2016. 44-59. “Imposibilidades posibles: Más allá de los medios masivos en César Aira y Mario Bellatin.” A Contracorriente 12.3 (2015): 271-95. "Un asunto familiar: Entre afecto y violencia política en La hora azul de Alonso Cueto y Un lugar llamado Oreja de Perro de Iván Thays." Revista Iberoamericana LXXXI.250 (2015): 15-30.